WASHINGTON — To compete with a more assertive China, the United States should invest in alliances and multilateral institutions, which President Trump and his administration have rejected or undermined, a report issued Tuesday by prominent scholars and former top White House, State Department and trade officials working on China concluded. 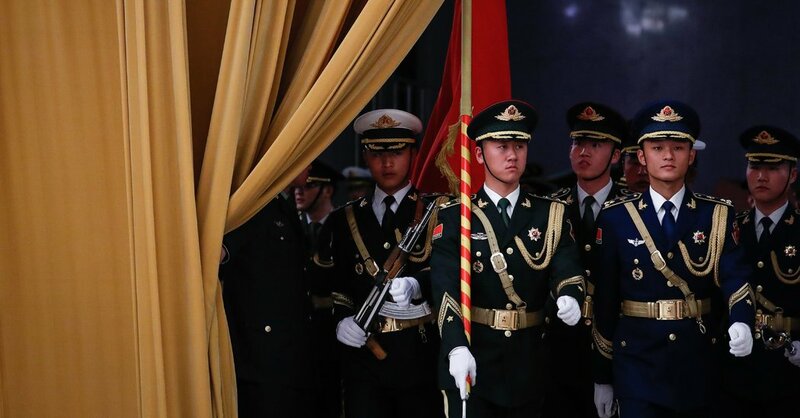 In addition, the Trump administration should take firm stands against China on its malign policies, from mercantilist measures to military expansionism, but should avoid overreacting to hard-line actions by President Xi Jinping and the Communist Party while searching for areas of cooperation with Beijing, the report said. The group includes Charlene Barshefsky, former United States trade representative; Winston Lord, former ambassador to China; and Evan S. Medeiros, former senior director for Asia in President Barack Obama’s National Security Council. The authors pointed to Mr. Trump’s abandonment of the Trans-Pacific Partnership, a trade agreement that Mr. Obama had helped forge to push China to conform to stricter norms in trade relations. Eleven nations — including allies Japan, Canada and Australia — renegotiated the agreement without the United States last year and are using it to address Mr. Trump’s protectionist policies as well as those of China. As for Mr. Trump’s trade war, his signature policy on China, the authors advised shifting the focus from tariffs to forcing Beijing to change industrial policy measures that violate international norms. These include state subsidies, forced technology transfer, intellectual property theft, cyberespionage and the barring of foreign companies from fair market access. The United States should also work with other nations to strengthen World Trade Organization rules and punish China for violations, the report said. On the security front, the United States must continue to invest in its East Asian alliances, especially Japan, even though Mr. Trump constantly questions expenditures on those kinds of military commitments, the report said. The authors list a few areas of potential cooperation between the United States and China, including global public health, climate change and preventing nuclear proliferation.